Canada’s #1 peanut butter brand, Kraft Peanut Butter, was inviting Canadians to help Spread the Feeling and share their memorable peanut butter moments. 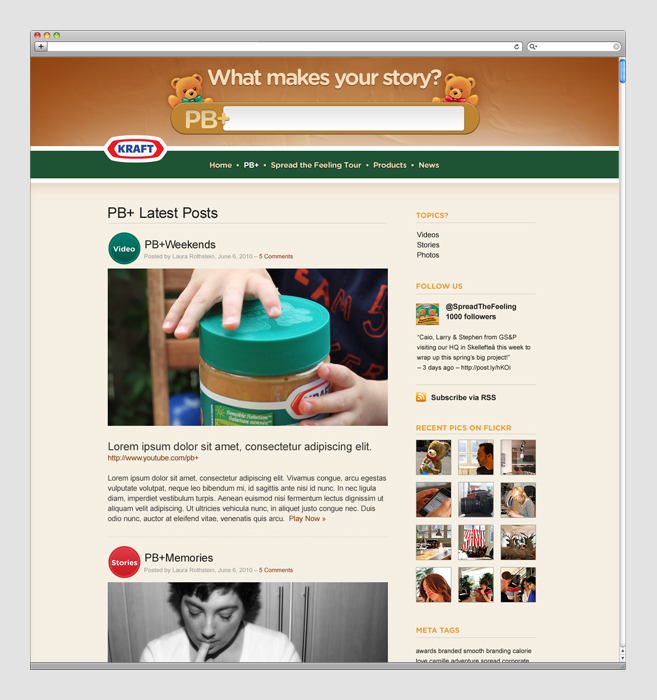 Hosted at SpreadtheFeeling.ca, the PB & ____ contest asked users to shoot and upload videos that capture how Kraft PB makes them feel and how it’s a part of their own special story. The concept was that PB (Peanut Butter) could be combined with anything to form something better, hence PB & ____. 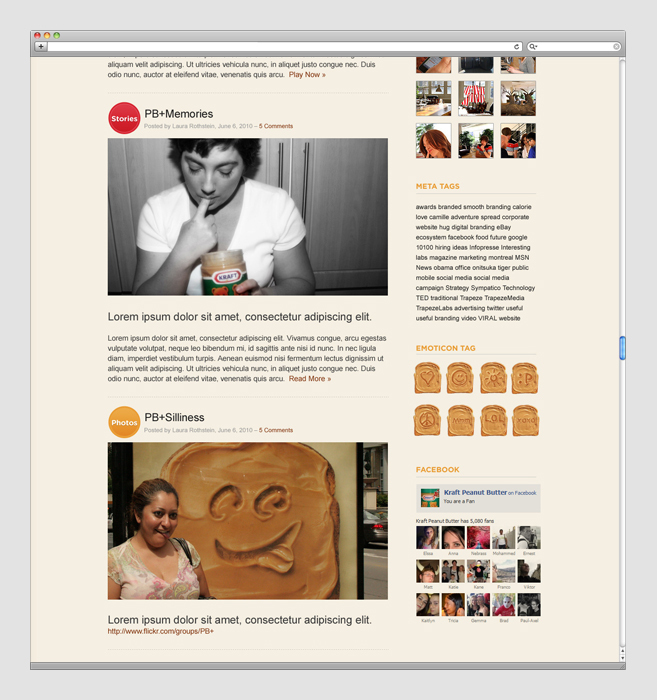 The campaign also featured a fully customized YouTube channel that housed the same functionality as the microsite.